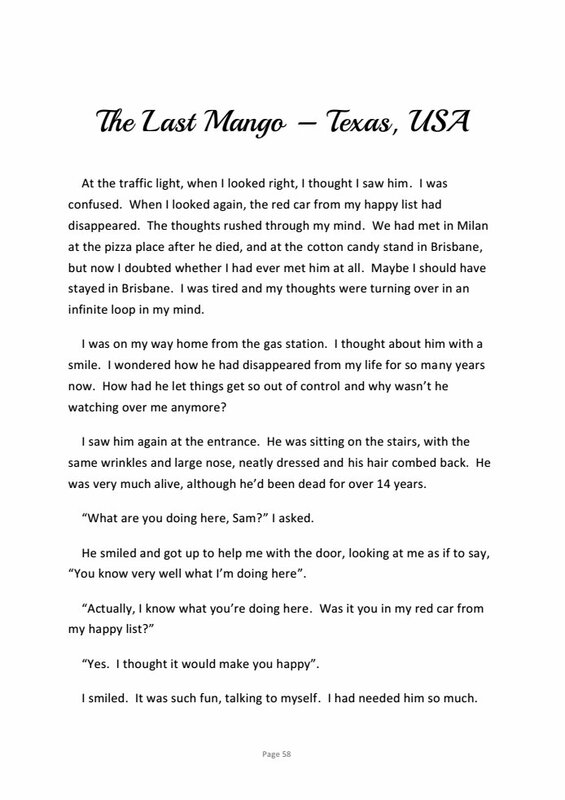 After 16-year-old Ella decides that life is not worth living, she suddenly meets Sam, a mysterious old man. This meeting marks the start of a new life of discovery. 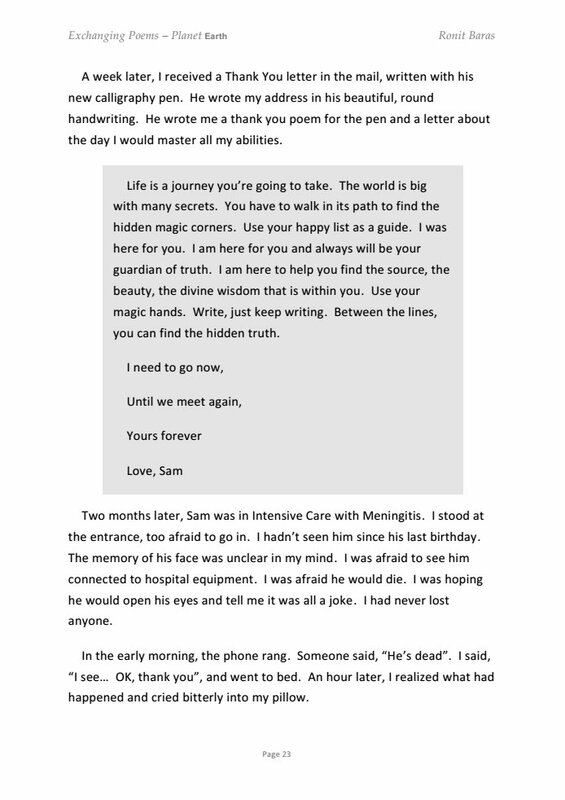 Sam comes in and out of her life for more than 30 years, travelling with her around the world, teaching her about the essence of life. Through her celebrations and her pain, he helps her learn that she has the ultimate divine power – choice. This is a story of realization, where fantasy and reality, life and death, pain and pleasure, are woven together, bringing to light the inner truth of our existence. It peels back the layers of our beliefs about love, happiness, birth, death, friendship, power, parenting, family and spirituality, and takes readers through the process of revealing the core powers within them. 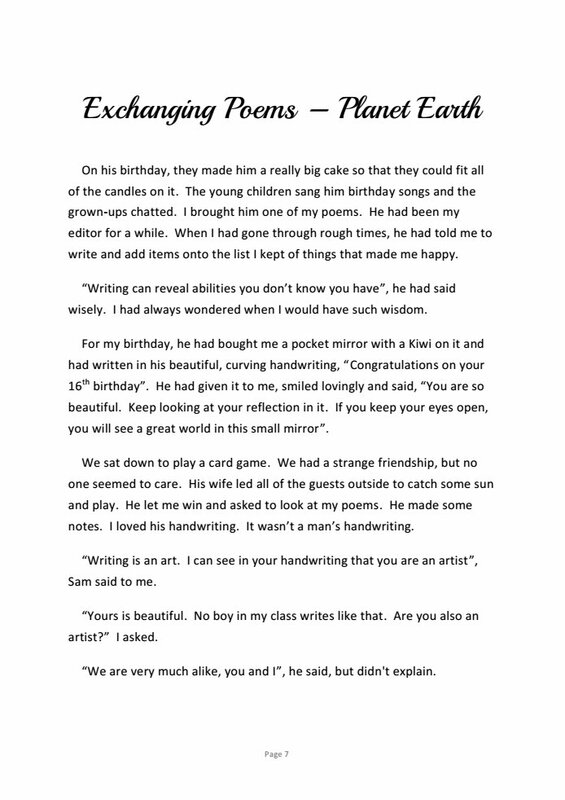 Who is Sam? Imaginary friend? Guardian angel? God? Read this wonderful book and find out for yourself. Exchanging poems: Until we meet again? 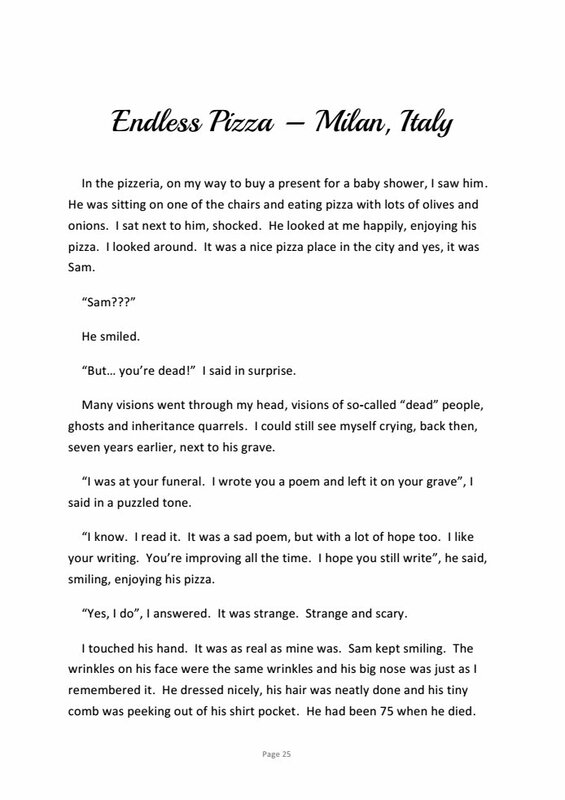 Endless pizza: Is Sam still alive? 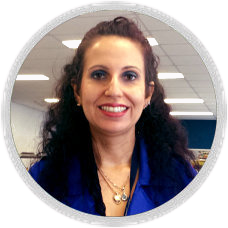 Ronit Baras is an educator, life coach, journalist and motivational speaker. Born with a physical disability to a migrant family, Ronit battled with childhood illness, was kicked out of high school and endured the loss of two children. Yet, she transformed her life into a living example of “mind over matter”. She is the founder of Be Happy in LIFE, helping people young and old to find happiness and live a life of purpose. She is also a State Director for the Together for Humanity Foundation. 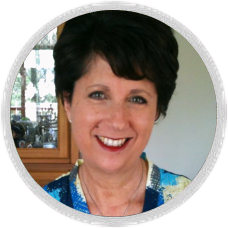 Her work has inspired millions of people around the world through her writing, presentations, coaching and mentoring. Ronit Baras lives in Australia with her husband and three children. Reflections is her fourth book. “Ronit’s articulation of the deeper desires and longings of our hearts is powerful and leads the reader on an insightful journey that is rewarding and gratifying. She is a master of allegory, shedding light onto the elusive mysteries of our lives. Reflections is a delightful read that captures the imagination and compels us to look at our own lives and question some long held beliefs and discover new ones. Ronit artfully enables the reader to relate to both of the major characters in turn, thereby, opening up our minds and hearts to countless possibilities. The line between fact and fiction becomes blurred as the story unfolds and the reader is transported to scenarios all over the world that feel as though they fit like a glove. “It was an absolute pleasure reading this book – I read it 3 times and each time I enjoyed it immensely. I almost feel like you have to read it more than once to truly receive the full benefit of its messages. The book takes you on a journey with its main character but as you read it, you begin to feel that she is you. She meets this “Friend” but you wonder, is he a person, a pretend friend, a guide, her conscience, her god or her soul? Whoever he is – he has so much to offer. Sometimes he is irritating and confronting, sometimes he is comforting; but either way he completes her in some way – we can all relate to this. It’s a book that makes you ask yourself some difficult questions but also helps you discover some truths about yourself that perhaps you didn’t look for before. When I reached the end I felt happy, healthy and whole. I felt I had a confidence that I didn’t allow myself before and I felt I had the strength to face the world regardless of difficulties. It’s a book that turns you inside out – sends you around and around but ultimately lifts you up to higher than you’ve ever been before.